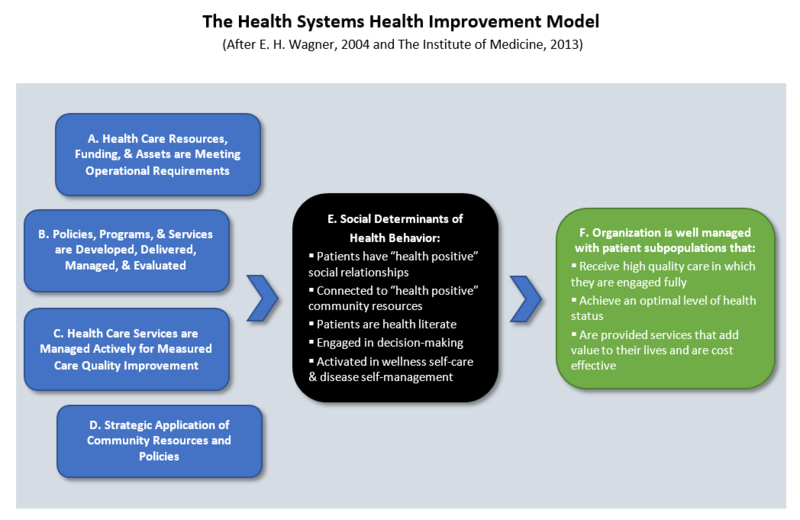 Health care improvement advances most rapidly and convincingly when your organization’s performance is measured in each of the system components in this model (A-D). Measurement will guide modification of only underperforming policies, services, and programs. CHI Analytics measurement will show whether intended modifications are working as expected. It will discover how well system components are working together to achieve critically important intermediate outcomes (E). Finally, measurement will predict the degree of change in Triple Aim outcomes (F) that can be expected. Core measurements in the model are adapted to the organization’s administrative-clinical interests. CHI brings results to the table with administrators and managers, contributing findings on evidence-based decisions that improve organizational outcomes.